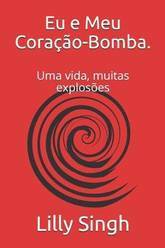 *Winner of the 2017 Goodreads Choice Awards: Non-Fiction Book of the Year! * The official debut book from YouTube phenomenon Lilly Singh. 'The ultimate no-nonsense manual for millennials how how to make it to the top' Marie Claire From actress, comedian and YouTube sensation Lilly Singh (aka Superwoman) comes the definitive guide to being a BAWSE - a person who exudes confidence, reaches goals, gets hurt efficiently, and smiles genuinely because they've fought through it all and made it out the other side. Told in her hilarious, bold voice that's inspired over 9 million fans, and using stories from her own life to illustrate her message, Lilly proves that there are no shortcuts to success. WARNING: This book does NOT include hopeful thoughts, lucky charms, and cute quotes. That's because success, happiness and everything else you want in life needs to be fought for - not wished for. In Lilly's world, there are no escalators. Only stairs. 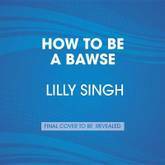 The official debut book from YouTube phenomenon Lilly Singh. 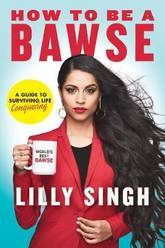 'The ultimate no-nonsense manual for millennials how how to make it to the top' Marie Claire From actress, comedian and YouTube sensation Lilly Singh (aka Superwoman) comes the definitive guide to being a BAWSE - a person who exudes confidence, reaches goals, gets hurt efficiently, and smiles genuinely because they've fought through it all and made it out the other side. Told in her hilarious, bold voice that's inspired over 9 million fans, and using stories from her own life to illustrate her message, Lilly proves that there are no shortcuts to success. WARNING: This book does NOT include hopeful thoughts, lucky charms, and cute quotes. That's because success, happiness and everything else you want in life needs to be fought for - not wished for. In Lilly's world, there are no escalators. Only stairs. 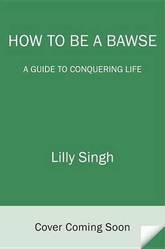 From actress, comedian and YouTube sensation Lilly Singh (a.k.a Superwoman) comes the definitive guide to being a bawse - a person who exudes confidence, reaches goals, gets hurt efficiently, and smiles genuinely because they've fought through it all and made it out the other side. 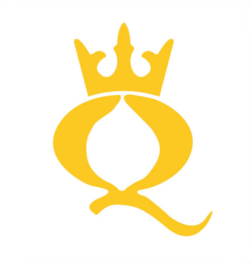 Told in her hilarious, bold voice that's inspired over 9 million fans, and using stories from her own life to illustrate her message, Lilly proves that there are no short-cuts to success. 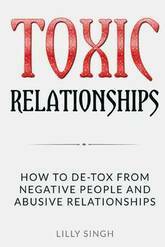 Warning- This book does not include hopeful thoughts, lucky charms, and cute quotes. That's because success, happiness and everything else you want in life needs to be fought for - not wished for. In Lilly's world, there are no escalators. Only stairs.